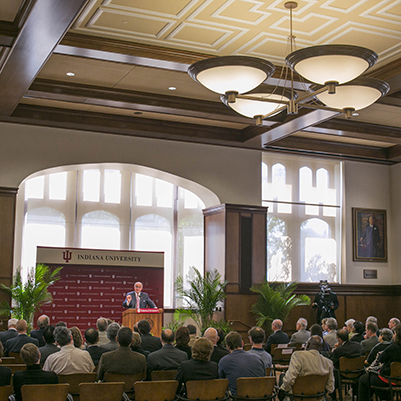 Renovations were made to the Grand Reading Room in Franklin Hall on the Indiana University Bloomington campus. Project work restored and reconstructed the detailed architectural configurations that had been demolished or significantly altered since the original construction. 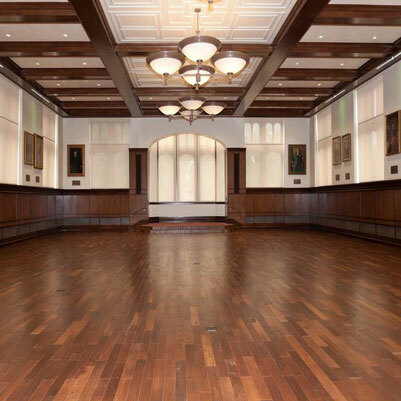 The room was returned to its original condition. State-of-the-art audio/visual and voice enhancement systems were integrated carefully, and the area was upgraded to meet code requirements.